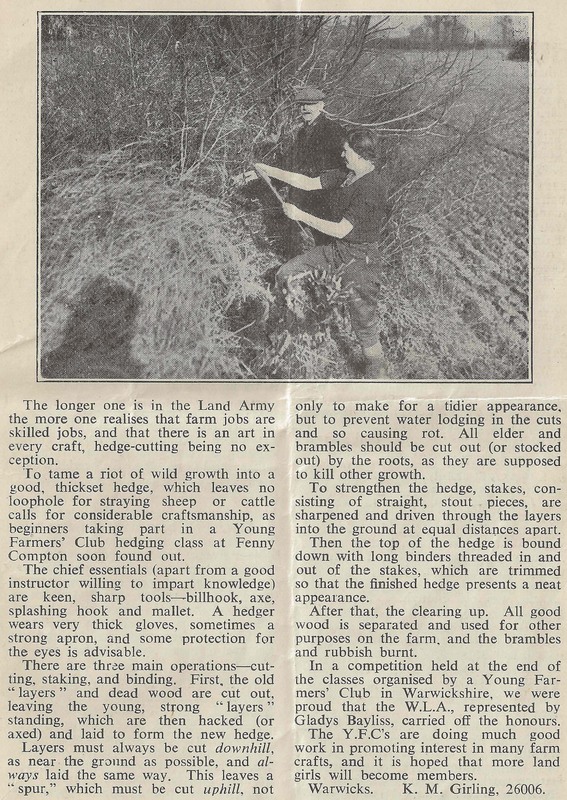 Other work around the farm included the cutting and laying of hedges. Waste land and ditches had to be cleared and trees had to be cut back. 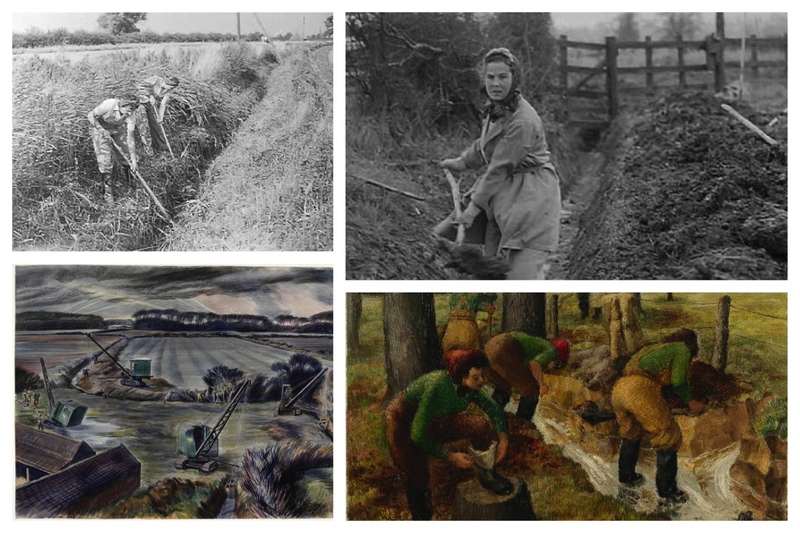 (Grimwood, 2000) Land Girls didn’t just take on the stereotypical roles of working with animals and threshing – they had to take part in the overall up-keep of the farm. Click on the above image to be taken to the ‘February Farming Activity of the Month’, which provides details on each image.